Aloo gobi is true Indian comfort food. This recipe is a classic of the Northern regions of the Subcontinent, particularly the Punjab, but it is also prevalent in Pakistan, Nepal and Bangladesh. 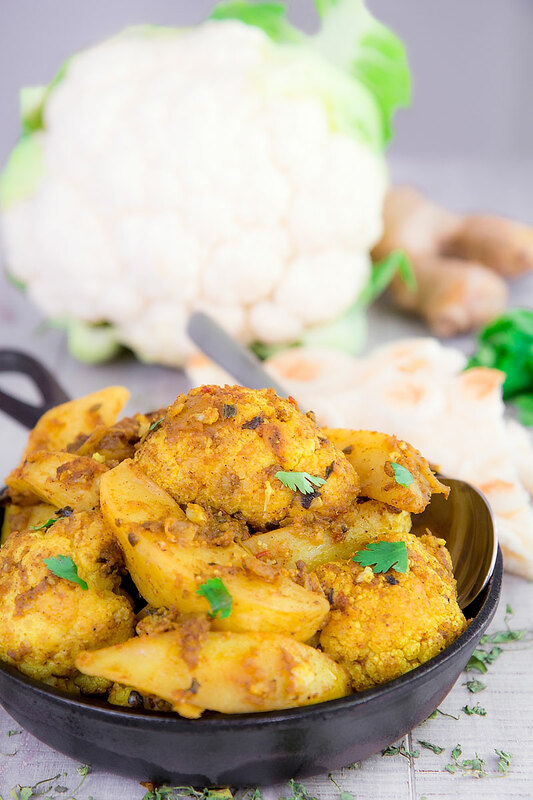 The potatoes and cauliflower florets are previously fried, then combined with a flavorful mix of spices and vegetables: delicious!